Ubuntu OpenStack support included with Canonical’s Ubuntu Advantage enterprise-grade support offering. Ubuntu OpenStack is the only OpenStack offered by a commercial Linux distributor that supports IBM Power Systems today. LONDON, U.K, September 19, 2016: Canonical announces today that Ubuntu OpenStack is available for IBM z Systems®, IBM LinuxONE™ and IBM Power Systems™ including IBM’s newly announced OpenPOWER LC servers as it expands its work to deliver hybrid cloud capabilities with IBM. Canonical and IBM will deliver solutions built on Canonical’s software and IBM servers through a deeper engineering, product and support collaboration. This enables customers to leverage Canonical’s portfolio across the z Systems, LinuxONE and Power Systems OpenPOWER platforms with automated OpenStack management. 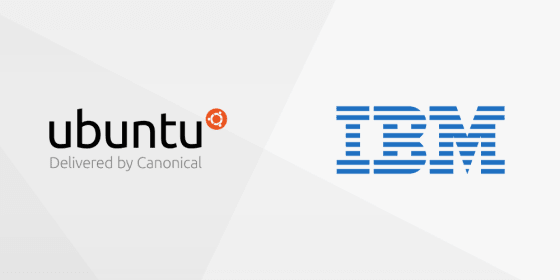 IBM and Canonical have a long and innovative alliance and have announced the availability of Canonical’s Ubuntu OS, Ubuntu OpenStack and tooling on z Systems, LinuxONE, Power Systems and OpenPOWER. Ubuntu OpenStack is the most widely used private cloud platform among enterprises and service providers with over 55% of production OpenStack clouds, more than all other vendor solutions combined. IBM and Canonical have been working together to ensure that z Systems, LinuxONE, Power Systems and OpenPOWER customers can have the same Ubuntu usage and management experience that Ubuntu x86 production OpenStack customers have today. Ubuntu has become the most popular OS for the cloud with over 2 million Ubuntu Linux instances launched in the cloud in 2015. Ubuntu OpenStack underpins some of the most exciting cloud projects happening today in areas such as telco (NFV), Retail, Finance, Media and most other sectors. There are very good reasons why large cloud customers such as Deutsche Telekom, Tele2, Sky, Cisco, Bloomberg and Time Warner Cable have chosen Ubuntu OpenStack. Canonical also run the world’s largest OpenStack Interoperability Lab (OIL). Based in Boston, this Lab validates hardware and software OpenStack interoperability for over 35 major vendors, including IBM. In order to achieve this the Lab stands up over 3,500 new OpenStack clouds every month. IBM and Canonical will continue to supply innovation around OpenStack, including “How to Guides” for deploying Ubuntu OpenStack on all IBM platforms. Customer support for Ubuntu and Ubuntu OpenStack can be purchased through IBM or with Canonical directly. If you would like help with your hybrid cloud or OpenStack please contact Canonical.